Andrew Redington/Getty ImagesPatrick Reed is a big fan of Imagine Dragons, as the CBS commentary team was quick to remind viewers during his Masters win on Sunday. As Reed sunk his final putt of the tournament, the CBS commentator Nick Faldo quoted the lyrics of one of Reed’s favourite songs – “Radioactive” by Imagine Dragons. It’s a tournament defined by its commitment to those traditions, whether the blooming azaleas, its strict rulebook, or its remarkably affordable pimento-cheese sandwiches. Fans are referred to as “patrons,” the rough is the “second cut,” and strokes are tracked on an old-school scoreboard. This commitment to tradition is why, when Patrick Reed won his first career major after holding off late pushes from Rickie Fowler, Jordan Spieth, and Rory McIlroy, many fans were left confused by the CBS commentary team’s references to the chart-topping band Imagine Dragons. “As Imagine Dragons would say, ‘Welcome to the new age, to the new age,'” Faldo said. The quote felt asynchronous with the notoriously formal setting of the Masters. In the biggest moment of Reed’s young career, it was odd to hear a reference to the band headlining Lollapalooza Berlin later this summer. As it turns out, there was good reason for the reference – as Faldo would mention, Reed listened to “Radioactive” to get pumped up for his rounds at Augusta National. Nick Faldo just discovering Imagine Dragons is a fitting end to Patrick Reed winning it. 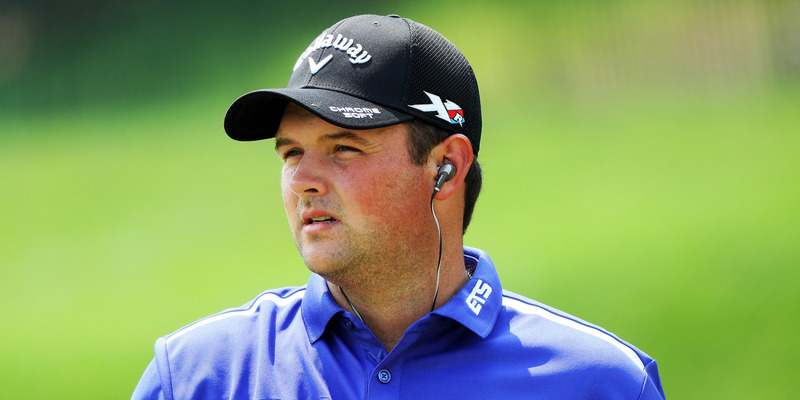 Patrick Reed looks like a dude that listens to Imagine Dragons. Nick Faldo quoting Imagine Dragons as Patrick Reed, evidently a huge Dragons fan, wins The Masters. Someone hand that kid a copy of Dark Side of the Moon and watch him take over the sport. Just found out Patrick Reed listens to “Radioactive” by Imagine Dragons for inspiration. Instead of 60 minutes, CBS will now have a dramatic reading of Imagine Dragons’ entire discography by Sir Nick Faldo. But if golf fans didn’t exactly love Faldo’s call on the final putt, Imagine Dragons apparently did, with the band tweeting out the quoted lyrics in apparent celebration of Reed’s win. Nick Faldo is quoting rock bands at the 18th green at the Masters – welcome to the new age indeed.